Get A to Z guidance. Go from building simple web pages to creating rich, interactive websites. Add instant interactivity. Use Dreamweaver’s unique Spry technology to easily add complex layout options, like drop-down menus. Use timesaving features. 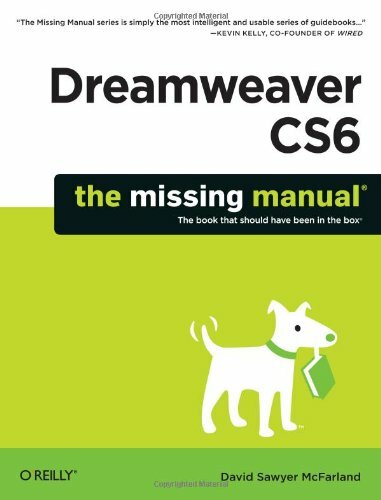 Take advantage of Dreamweaver’s libraries, templates, and hundreds of extensions. Go mobile. Design sites for smartphones, tablets, and desktop PCs, using the same HTML. Simplify site management. Check for broken links, streamline site-wide changes, and reorganize your site in a snap. If you have any questions about this product by David Sawyer McFarland, contact us by completing and submitting the form below. If you are looking for a specif part number, please include it with your message.